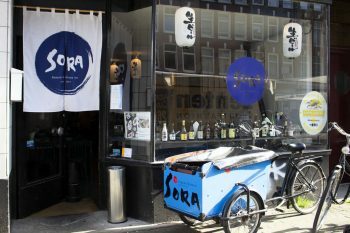 On the ground floor of Hotel Okura Amsterdam next to the prominent Japanese restaurant Yamazato, the sign of Teppanyaki Restaurant Sazanka does not give away much of what you are about to experience. Through the dim lights contouring the delicate decor and the towering wine cellar, you will arrive at a sober space which resembles an exclusive underground club. 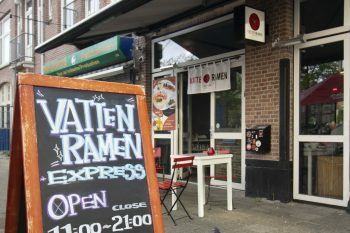 Waitresses in kimono and solemn teppan chefs set the scene for the spectacle. Teppanyaki means to grill on a hot plate. 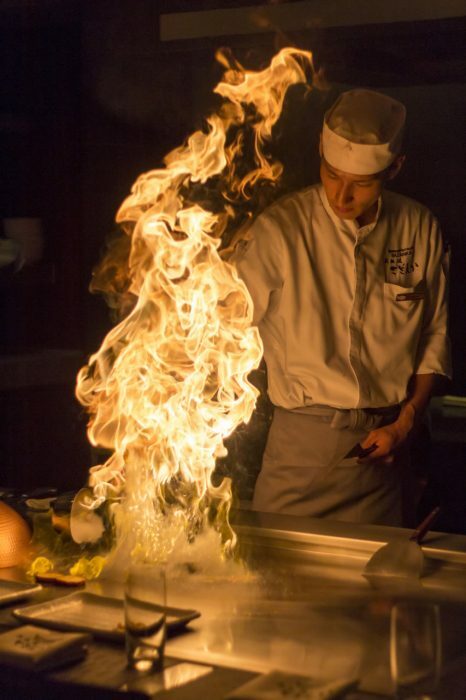 A highly skilled teppan chef performs right in front of your eyes. 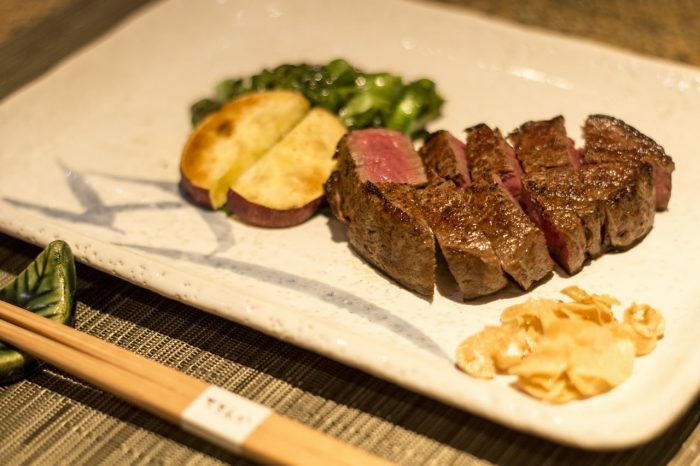 It was first introduced at Hotel Okura Tokyo for the 1964 Summer Olympics to showcase meat dishes using Japanese ingredients. 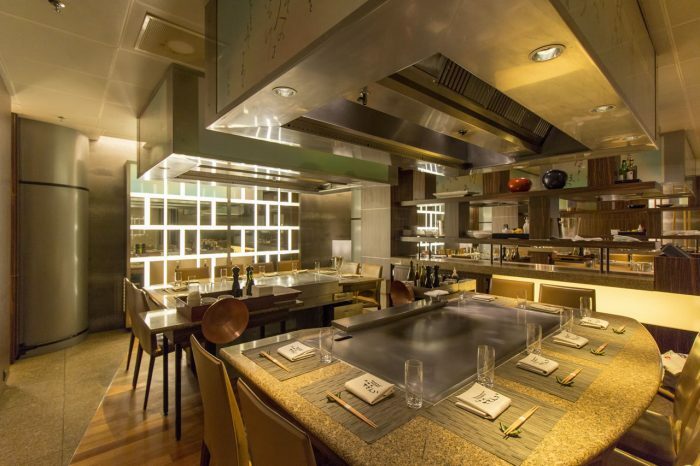 When Hotel Okura Amsterdam opened in 1971, the first teppanyaki tables appeared in Yamazato Restaurant. 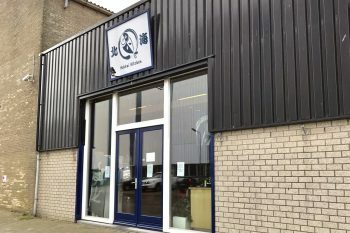 In 1978 Teppanyaki Restaurant Sazanka opened – specializing entirely in teppanyaki. 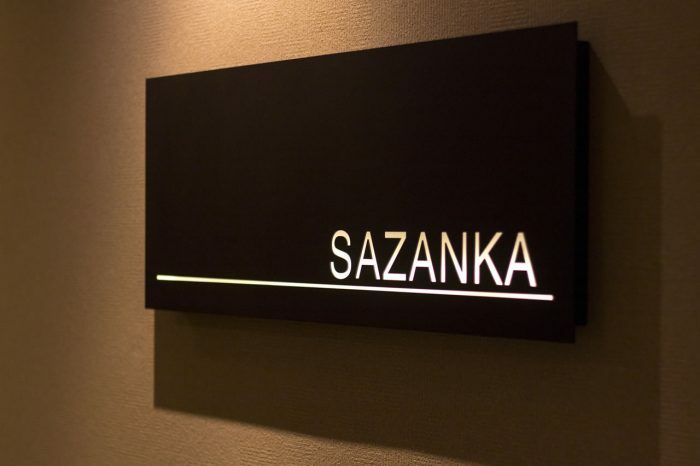 Sazanka (camellia sasanqua) is named after a gorgeous flower like other dining rooms at Hotel Okura Tokyo and Amsterdam. 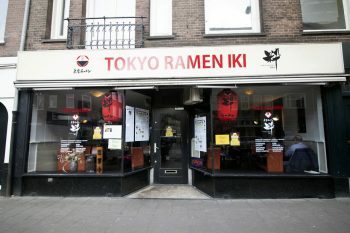 It is the first and currently the only teppanyaki restaurant in Europe with a Michelin star. 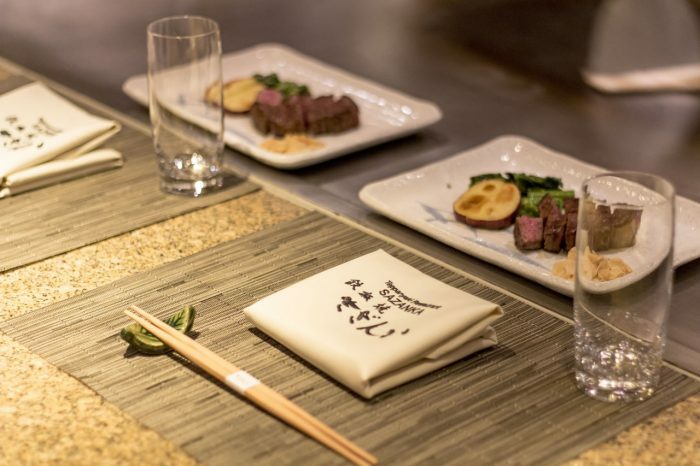 The social seating allows you to connect with fellow diners across the teppan plate. 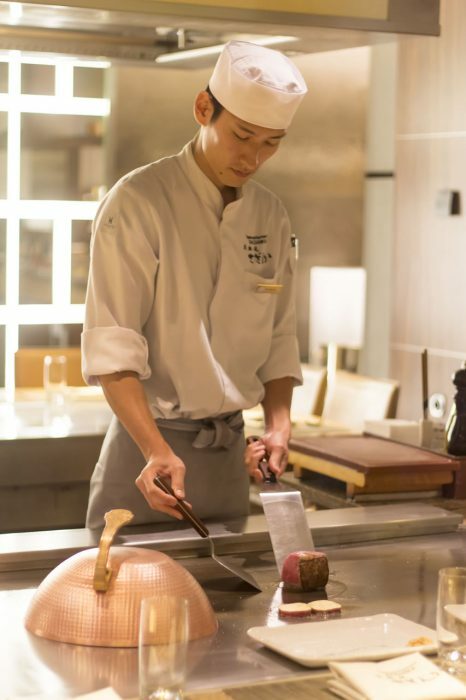 Head Chef Onodera develops original dishes such as shiogama-yaki (salt crusted fish) on the teppan grill. 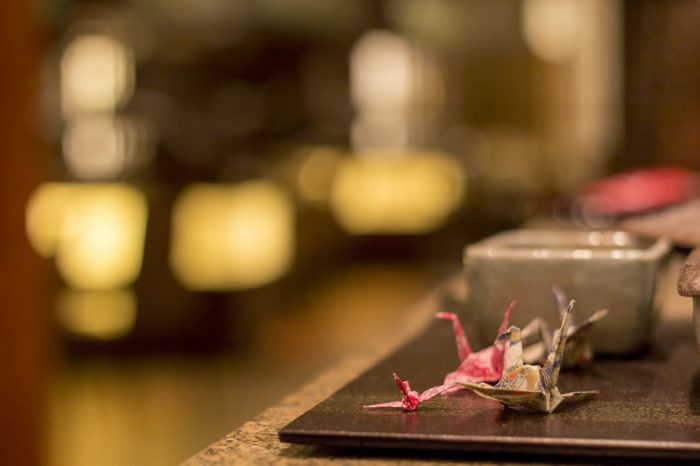 Executive Chef and Manager Mr Tomikawa approves the creative exploring within the principles of Japanese cuisine. 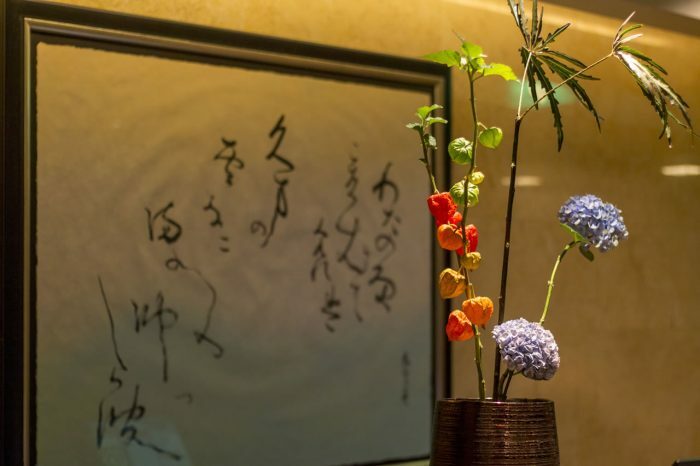 Exchange of ideas and ingredients take place between the Japanese and the Western chefs from other restaurants of the hotel. Let the culinary show with Japanese excellence entertain your eyes and tastebuds! Okura Hotels & Resorts is one of the most prestigious and established hotel chains originating in Tokyo in 1962. 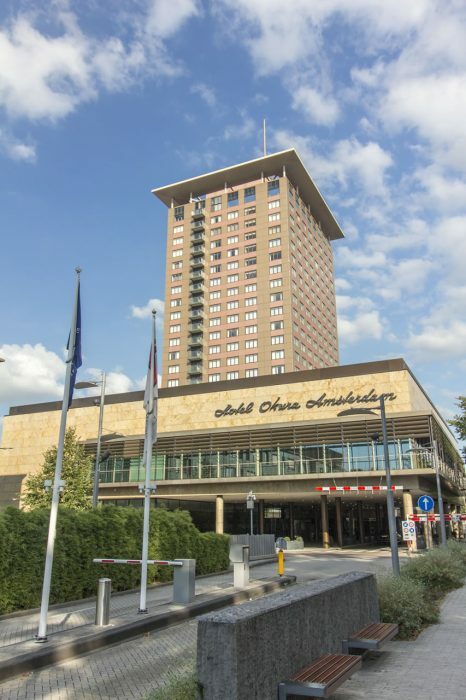 Upholding “Best ACS (accommodation, cuisine and service)” as their creed, Hotel Okura Amsterdam opened in De Pijp in 1971 and has since welcomed their guests with the Japanese omotenashi hospitality with wa (harmony) spirit at the core. 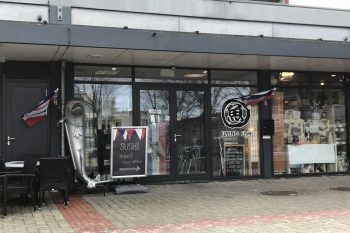 It houses four Michelin-featured restaurants: International Ciel Bleu Restaurant (2 stars) Japanese cuisine Yamazato (1 star) and Teppanyaki Restaurant Sazanka (1 star) and Serre (Big Gourmand).